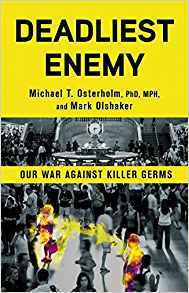 Author of Deadliest Enemy: Our War Against Killer Germs & Director, Center for Infectious Disease Research and Policy, University of Minnesota. Dr. Michael Osterholm is Regents Professor, McKnight Presidential Endowed Chair in Public Health, the director of the Center for Infectious Disease Research and Policy (CIDRAP), Distinguished Teaching Professor in the Division of Environmental Health Sciences, School of Public Health, a professor in the Technological Leadership Institute, College of Science and Engineering, and an adjunct professor in the Medical School, all at the University of Minnesota. He is also on the Board of Regents at Luther College in Decorah, Iowa. In addition, Dr. Osterholm is a member of the National Academy of Medicine (NAM) and the Council of Foreign Relations. In June 2005 Dr. Osterholm was appointed by Michael Leavitt, Secretary of the Department of Health and Human Services (HHS), to the newly established National Science Advisory Board on Biosecurity. In July 2008, he was named to the University of Minnesota Academic Health Center’s Academy of Excellence in Health Research. In October 2008, he was appointed to the World Economic Forum Working Group on Pandemics. From 2001 through early 2005, Dr. Osterholm, in addition to his role at CIDRAP, served as a Special Advisor to then–HHS Secretary Tommy G. Thompson on issues related to bioterrorism and public health preparedness. He was also appointed to the Secretary's Advisory Council on Public Health Preparedness. On April 1, 2002, Dr. Osterholm was appointed by Thompson to be his representative on the interim management team to lead the Centers for Disease Control and Prevention (CDC). With the appointment of Dr. Julie Gerberding as director of the CDC on July 3, 2002, Dr. Osterholm was asked by Thompson to assist Dr. Gerberding on his behalf during the transition period. He filled that role through January 2003. Previously, Dr. Osterholm served for 24 years (1975-1999) in various roles at the Minnesota Department of Health (MDH), the last 15 as state epidemiologist and chief of the Acute Disease Epidemiology Section. While at the MDH, Osterholm and his team were leaders in the area of infectious disease epidemiology. He has led numerous investigations of outbreaks of international importance, including foodborne diseases, the association of tampons and toxic shock syndrome (TSS), the transmission of hepatitis B in healthcare settings, and human immunodeficiency virus (HIV) infection in healthcare workers. In addition, his team conducted numerous studies regarding infectious diseases in child-care settings, vaccine-preventable diseases (particularly Haemophilus influenzae type b and hepatitis B), Lyme disease, and other emerging infections. They were also among the first to call attention to the changing epidemiology of foodborne diseases. Dr. Osterholm was the Principal Investigator and Director of the NIH-supported Minnesota Center of Excellence for Influenza Research and Surveillance (2007-2014) and chaired the Executive Committee of the Centers of Excellence Influenza Research and Surveillance network. Dr. Osterholm has been an international leader on the critical concern regarding our preparedness for an influenza pandemic. His invited papers in the journals Foreign Affairs, the New England Journal of Medicine, and Nature detail the threat of an influenza pandemic before the recent pandemic and the steps we must take to better prepare for such events. Dr. Osterholm has also been an international leader on the growing concern regarding the use of biological agents as catastrophic weapons targeting civilian populations. In that role, he served as a personal advisor to the late King Hussein of Jordan. Dr. Osterholm provides a comprehensive and pointed review of America's current state of preparedness for a bioterrorism attack in his New York Times best-selling book, Living Terrors: What America Needs to Know to Survive the Coming Bioterrorist Catastrophe. The author of more than 315 papers and abstracts, including 21 book chapters, Dr. Osterholm is a frequently invited guest lecturer on the topic of epidemiology of infectious diseases. He serves on the editorial boards of nine journals, including Infection Control and Hospital Epidemiology and Microbial Drug Resistance: Mechanisms, Epidemiology and Disease, and he is a reviewer for 24 additional journals, including the New England Journal of Medicine, the Journal of the AmericanMedical Association, and Science. He is past president of the Council of State and Territorial Epidemiologists (CSTE) and has served on the CDC's National Center for Infectious Diseases Board of Scientific Counselors from 1992 to 1997. Dr. Osterholm served on the IOM Forum on Microbial Threats from 1994 through 2011. He has served on the IOM Committee on Emerging Microbial Threats to Health in the 21st Century and the IOM Committee on Food Safety, Production to Consumption, and he was a reviewer for the IOM Report on Chemical and Biological Terrorism. 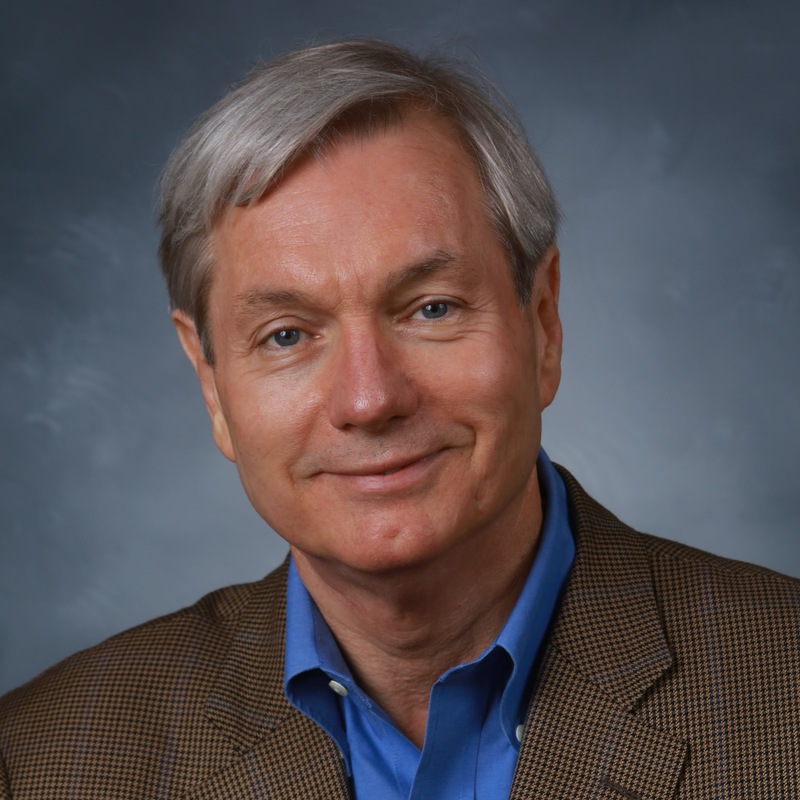 As a member of the American Society for Microbiology (ASM), Dr. Osterholm has served on the Committee on Biomedical Research of the Public and Scientific Affairs Board, the Task Force on Biological Weapons, and the Task Force on Antibiotic Resistance. He is a frequent consultant to the World Health Organization (WHO), the National Institutes of Health (NIH), the Food and Drug Administration (FDA), the Department of Defense, and the CDC. He is a fellow of the American College of Epidemiology and the Infectious Diseases Society of America (IDSA). Dr. Osterholm has received numerous honors for his work, including an honorary doctorate from Luther College; the Pump Handle Award, CSTE; the Charles C. Shepard Science Award, CDC; the Harvey W. Wiley Medal, FDA; the Squibb Award, IDSA; Distinguished University Teaching Professor, Environmental Health Sciences, School of Public Health, UMN; and the Wade Hampton Frost Leadership Award, American Public Health Association. He also has been the recipient of six major research awards from the NIH and the CDC.